Parent company OnChain affiliated to NASA, Hyperledger, Microsoft (no formal partnership, Neo using .net framework) and Alibaba. Passive income. Neo holder earn gas. Not mineable. There will only ever be 100 million Neo tokens. City of Zion an independent group of open source developers, proactive supporting Neo and operating with NEX and nOS. they have a positive reputation in crypto community. March 3rd 2018 a single node disconnected from the Neo blockchain temporarily shutting down the Neo network. This was played down by the Neo team as an 'edge case', However it was a serious error. Neo is not decentralized. There are 7 masternodes verifying transactions on the blockchain, six of which operated by Neo, one by City of Zion. Neo is non divisible token. Only traded in whole number integers, therefore micropayments are currently impossible. Neo has relatively high smart contract creation fees. 500 gas for a smart contract. Competitors are cheaper, meaning gas dividends are a flase economy. In July 2018 a Chinese regional government chose Ethereum over Neo to construct its blockchain initiatives. What happened to Neo being the Chinese Ethereum? Neo is ranked No. 2 behind Ethereum for total dapp deployment. Over 70 atm. Compared to Ethereum's 1700 dapps. Non fungible tokens. Neo could be used to represent real world assets such as birth certificates, passports, land deeds etc. Neo 3.0 is evolving. Divisible token coming. 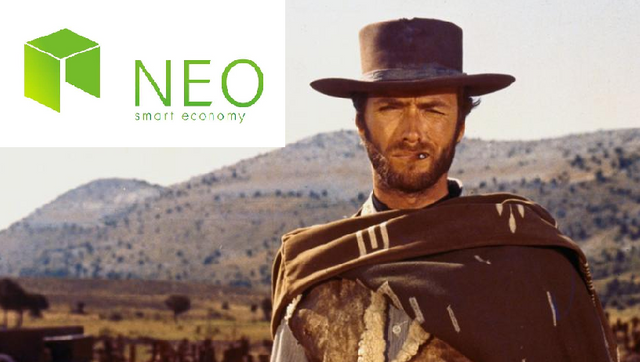 Neo gas is fuel for smart contracts .Gas dividends are finite, so once they run out they could be worth more than the neo token. Additional partnerships Ontology, Onchain, FaDaDa, Fosun International (market cap 120 billion dollars). Experts have raised concerns over Neo's byzantine fault tolerance consensus mechanism. Chinese governments blockchain ranking report put EOS and Ethereum at the top of the list. Neo was ranked 5th. Mysterious relationship between Neo and Ontology. They need to be more open and transparent about what is going on. Competition from Cardano, EOS, Icon, Ethereum. Without Chinese government backing, Neo could become a lost project. If China re-instates cryptocurrency the price of Neo will boom. Until that happens Neo has to re-invent, become distinctive and stand out on a public stage or see further decline. For Neo to become the winner over its competitors the following factors need to come into play; decentralisation, clarity and leadership. Neo needs to be more transparent in its marketing. The relationship between Neo and Ontology needs to be more clearly explained. Charismatic leadership is an issue. Most people have heard of Vitalik Buterin of Ethereum. Not many people have heard of Da HongFei of Neo. This summary came from an in depth Neo analysis video by Coin Bloq. Please watch, like and subscribe to his youtube channel.